This is one of the most spectacular sunsets I've ever seen in San Francisco. 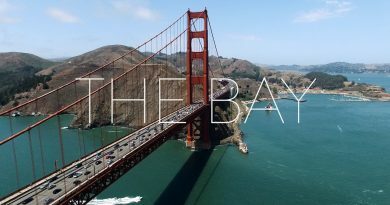 Check out this spectacular drone footage of San Francisco from Pre-Future LLC, a video production company based out of the Bay Area. Particularly awesome is the view of AT&T Park (Where the SF Giants play) and getting the entire city as a backdrop during the golden hour. Great job with the music choice and using it to accentuate the slow panning of the video. You get to see all the boats in SF harbor and even the Bay Bridge. All in all, a hypnotizing sunset. Share with someone you know who lives in SF!